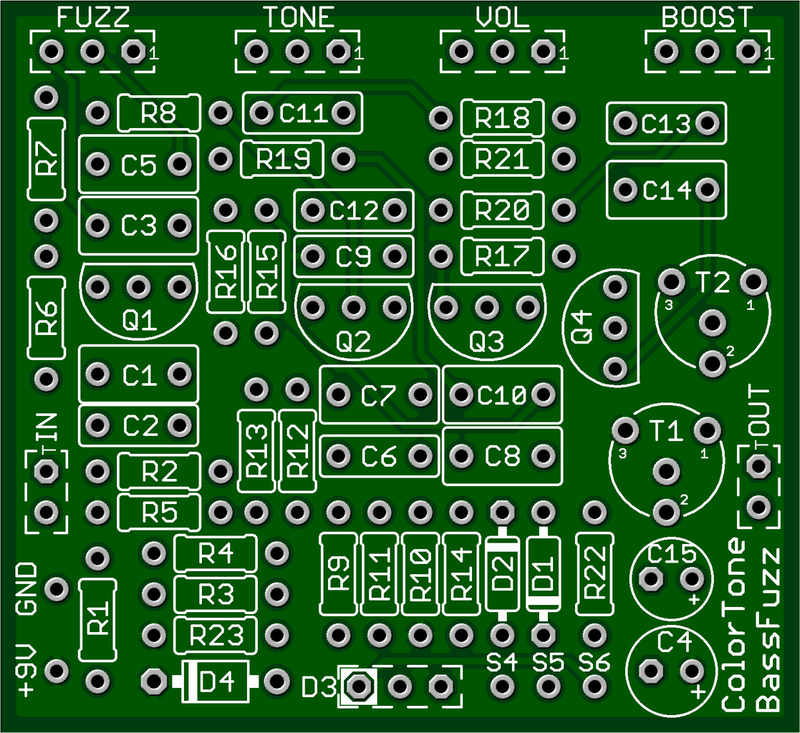 This kit includes all of the parts needed to build the GuitarPCB ColorTone Bass Fuzz project. This circut is based on the Colorsound® Bass Fuzz™. Our version features an extra tone boost circuit at the end. which is based on the GuitarPCB Stage 3 Booster. This extra stage adds the extra kick that the original lacked. The resulting tone is phenomenal! Bass Fuzz™ is a trademark of Colorsound®. Pedal Parts and Kits is not associated with and makes no claims to these trademarks. See our FAQ for more details.